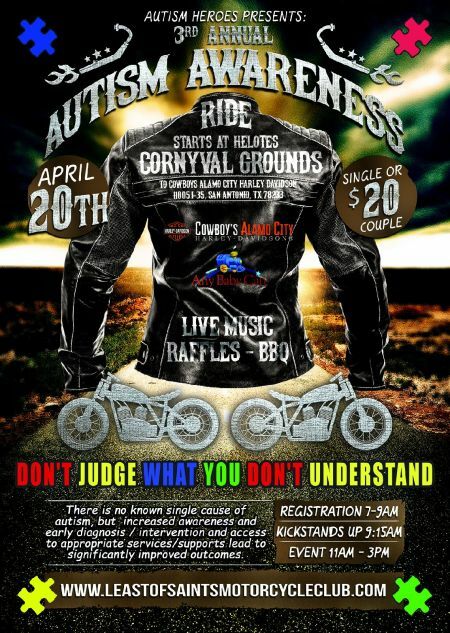 Autism Heroes 3rd Annual Autism Awareness Ride on Saturday, April 20th. Registration is 7-9 am at the Cornyval Grounds in Helotes with KSU at 9:15 am coming to Cowboy's Alamo City Harley-Davidson. 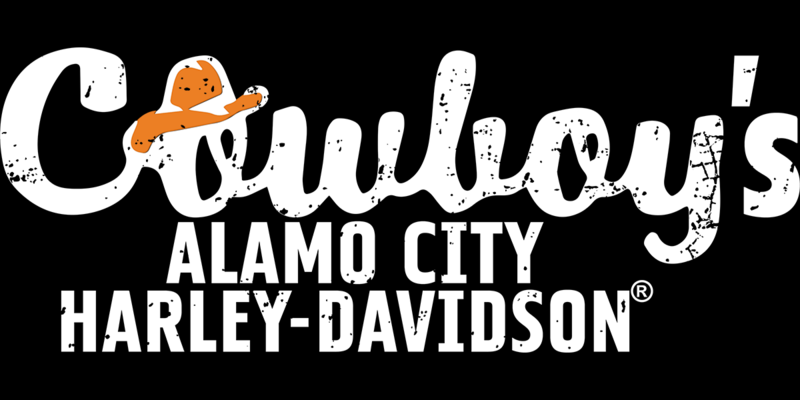 Event at Cowboy's Alamo City H-D will be from 11 am - 3 pm with live music, BBQ raffles. Proceeds will benefit Any Baby Can. Live music by Lady J (all day), Heavens Tragedy at 11 am and Bobby G at 1 pm. Come out and support this awesome cause!